Oh my! 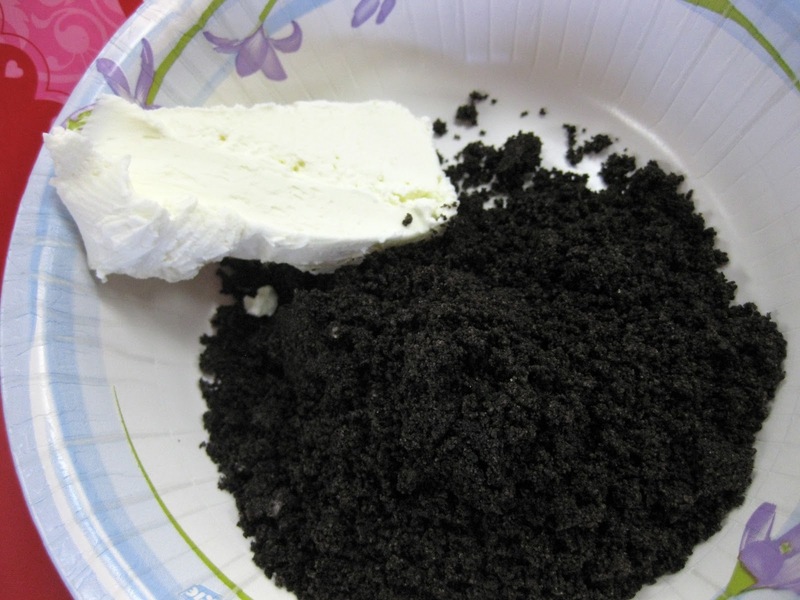 These oreo truffles are delicious, rich, and one of the easiest treats I’ve ever made! This was our Valentine’s “craft” at our MOPS meeting today and it was perfect! Simple & yummy! Aside from the taste, the best thing about these treats is the easy prep. Want to surprise your husband tonight? Have a party or get together to go to today? No problem–these can be made in NO time! Oreos, cream cheese, bakers chocolate/candy coating (& sprinkles if you want). that’s it! – Continuing mixing until areas of white are mostly gone & all crumbs have been incorporated. – dip into melted chocolate, knock the drips off, and place onto wax paper. Decorate with some fun holiday sprinkles if you’d like, then put them in the fridge to harden. – put them in a cute little Valentine’s box or other fun packaging and you have an adorable & yummy gift! Have you made these? Any special/fun thing you do with them? « Super Bowl time with DiGiorno! These look super yummy. Thanks for sharing! I made some oreo truffles at Christmas time and they were a huge hit! Visiting from Funky Polkadot Giraffe – these look absolutely delicious! I'll have to try them! Boy! This is what I all a spectacular cookie. It almost looks too good to eat. Hi, I'm your newest follower from the blog hop. I hope you'll come visit and follow me too. I'd like to be blogging friends. Thanks! 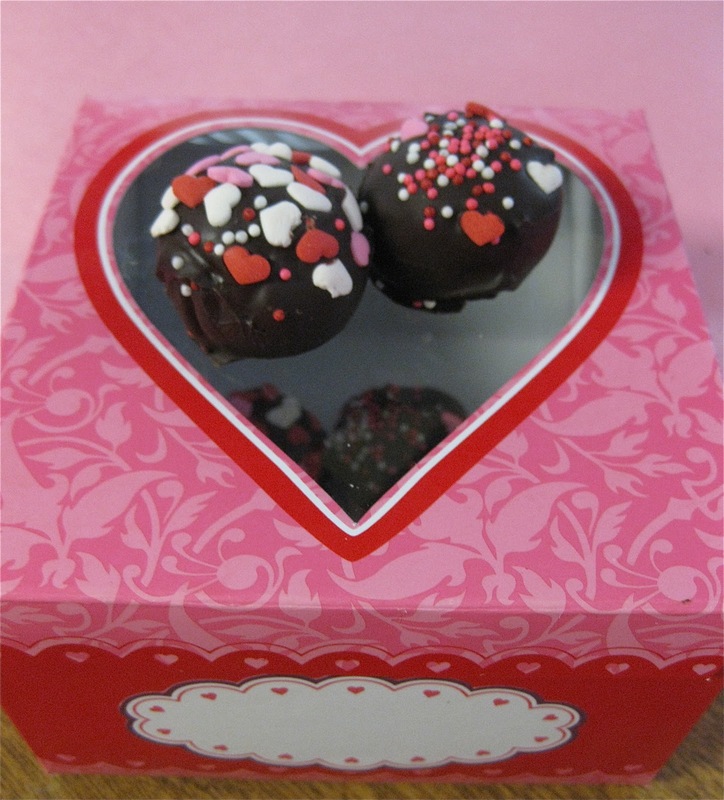 Your Valentine Truffles look delicious. I would like to invite you to my Full Plate Thursday. Thank you for sharing and you have a great week! mmm! Oreo truffles are so addicting! I love those things! And very pretty with the Valentine's Day sprinkles! These are my favorite! I made them with candy cane oreos at christmas, very cute! Hi! I host a weekly blog hop — It's a Keeper Thursdays. I'd love for you to stop by and link up! Never tried these with oreos, this would make a great gift to give!! Thank you so much for linking to the Virtual Valentine’s Day Party on my blog. Please take a moment between now and the end of the party Monday night to visit a few of the other party guests. I would love to everyone who linked up to have other guests stop by for a visit. Remember if you visit two guests and leave me a comment that you did you could win a $15 Visa Gift Card.